A lot has changed over the years in SEO. One thing that has not changed much in the last few years is the importance of backlinks. Link building tools are every SEO’s dream because they make automating link building activities so much easier. Why are link building tools important? Using link building tools is an amazing way to take the pressure off your shoulders. You can automate a lot of the tedious activities involved with backlinking from a single dashboard. In some tools, you get a ton of value because you can do a lot more than just view your backlink profile. The best part? You can set up the perfect workflow from using tools. So, what is the best link building tool? Well, in reality, there is no single tool that can be called the best. This blog will take you through 9 awesome link building tools that you can use to improve your website’s SEO today along with list of features, pricing, pros, and cons. Ahrefs is at the top of our list because it definitely belongs there. One of the most diverse and comprehensive SEO toolkits of all time, Ahrefs has a ton of powerful features. One of the major highlights of this tool is that it has the world’s largest backlink index. ● Anchor Text Tool: Check out the anchor texts from your existing backlinks to avoid penalties. ● Backlink profile: Check out your current backlink profile and audit your SEO health. ● Broken Link Checker: Analyze links which are broken and pointing to a non-existing 404 page. ● Link Intersect for Prospecting: Check out who is linking to your competitors, but not to you. Link prospecting does not get any simpler. $99-$999 per month (Worth every penny). Ahrefs doesn’t have any free starter plan. A $7 seven-day trial package is available. ● Not meant for a shoestring budget. Moz Pro is probably one of the most authoritative names in the world of SEO and link building tools. They should too; after all, they came up with the Domain Authority system that revolutionized the SEO industry. Moz offers a lot in way of free and premium tools alike. ● Link Explorer: Pop in any URL to see all the backlinks pointing to it. Ideal for competitor analysis and backlink profile audits. ● Anchor Text Analysis: Not only can you see all your links, but the anchor texts used for linking out. Perfect for creating a more natural link portfolio. ● MozLocal: Check out the local listings in the US made under your company for NAP consistency. $99 – $999 per month. A 30-day free trial plan is available. ● Backlink index is not as big as Ahrefs. SEMRush is one of the closest competitors of Ahrefs and Moz. Like both these toolkits, SEMRush also has a lot to offer. Especially since the launch of SEMRush 2.0, a lot of great features make this a great investment as far as link building tools go. $99.95 Pro – $199.95 Guru – $399.95 Business plans (monthly). SEMRush has a free subscription plan with limited features. ● Most professional SEOs insist that SEMRush is the best for research and analytics. Majestic SEO is considered to be the perfect tool to start with on a shoestring budget. It has all the great features that you need in a link building tool and can help you scale up your startup. ● Backlink History: Lists the backlinks to a given website domain that were found by the Majestic crawlers. ● Topical Trust Flow: Understand the trustworthiness of your content from the seed keyword. This will help you understand the type of backlinks you need. 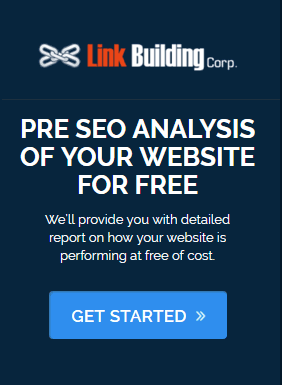 ● Backlink Analysis: Find out everything you need to know about your backlink profile. $49.99 – $99.99 per month. Majestic SEO has a Full API plan which costs monthly $399.99. Guest posting is one of the most widely used forms of backlink generation. Not only you get a ton of scalable links, but you can also establish long-term relations in the blogger community. But how do you manage all the chaos in guest posting? Use Guest Post Tracker. ● Database of Blogs: Get a curated list of blogs that accept blog posts from different industries. ● Set up Outreach Campaigns: From the same dashboard, you can pitch your guest posts to a bunch of blogs. ● Monitor Success: You can also track the guest blog pitches that were accepted. ● Limited to only one type of link building tactic. Group High is the world’s largest blog search engine that helps you perfect blogger outreach. Using Group High, you can find broken links, guest post links, and a lot more. $99 – $299 per month. A custom plan is available at $450+. Group High has a 7-day free trial plan in which they give you instant access to the tool. ● Sticks to a few scalable link building tactics. If you are tired of maintaining a bunch of spreadsheets and email accounts, BuzzStream is the perfect option for you. They have a bunch of amazing tools for workflow automation that will save a ton of time and effort for link building activities such as broken link building. ● Discovery Tool: Discover link prospects by using a seed keyword quickly and efficiently or upload a CSV file of existing prospects. ● Find Contact Info: Any outreach campaign requires you to put in a lot of effort into finding contact info. With BuzzStream, you can do that directly. ● Custom Fields: Use custom fields to automate personalized outreaches that convert into quality links. ● Track Outreach: Track and benchmark outreach campaigns and their outcomes. $24 – $999 per month. They offer a 14-day free trial plan that you can cancel anytime during the trial period to avoid the charges. ● No cons to speak of. You get what you pay for. Link Prospector finds you viable backlink sources for guest posts, resource pages, reviews, giveaways, donations, content promoters, directories, blogs, expert interviews, forums, and much more. $47 – $497 monthly plans. Additionally, Link Prospector has a “Pay as you go” plan. ● It can be a pain to keep track of credits in the ‘Pay as you go’ model and other plans. Pitchbox operates as a comprehensive SEO tool that goes from prospecting to outreach to link building and finally reporting. $195-$1500 per month. Pitchbox doesn’t offer a free trial plan. Outreach is an incredibly important part of link building for SEO. However, most people reach out to bloggers to promote content and build links. JustReachOut does this for journalists instead. Using this tool, you can get a ton of high-quality press links. Link building is a delicate mix of art, commerce, and science. To master the art of link building, you need to explore many powerful backlink tools in your SEO lifetime. 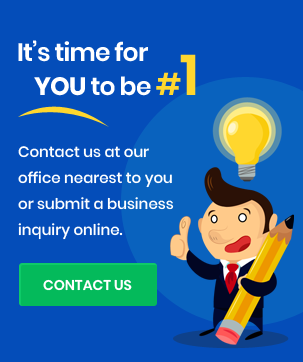 At times, one tool may not be a complete solution to a successful link building campaign; instead, you have to use multiple backlink tools together to attain outstanding results. I believe this list of link building tools will assist you in selecting the one that fits into your budget and delivers you the results. 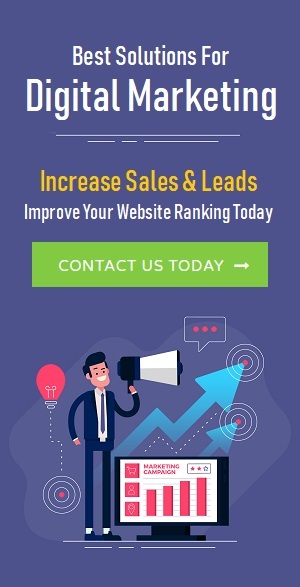 Additionally, if you are using another amazing backlink tool that has been helping you acquire high-authority relevant links over a long time, you may share that tool details here.